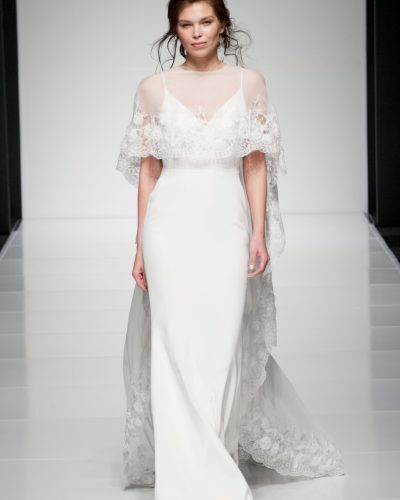 Sassi Holford wedding dresses are classic with a modern edge. The exquisite lines and luxurious fabrics are chosen to echo the bride’s own style. Nothing is overlooked when it comes to the detail and structure – resulting in the famous Sassi Holford cut and fit. Each wedding dress features an integral corset resulting in a streamlined silhouette whilst remaining comfortable. Every Sassi Holford wedding dress is handmade in her England studio by the talented team of seamstresses, cutters and hand beaders. Her amazing gowns are coming to Bluebell Bridal exclusively in late February 2019.